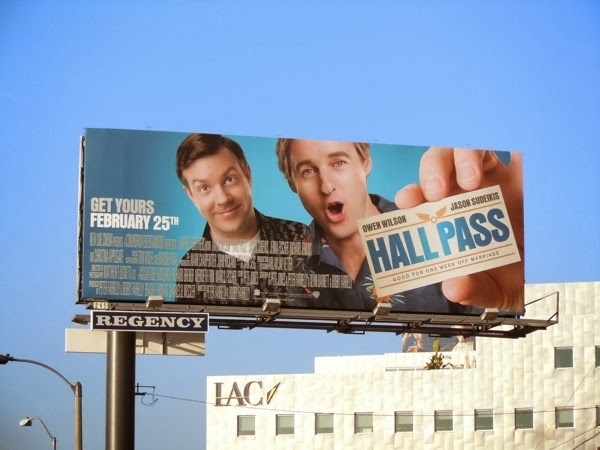 The billboard for Owen Wilson's new comedy, Hall Pass, really stands out and feels like it comes out at you to grab your attention. And is it me, or is it a little reminiscent of a poster for Fight Club, although in a totally different genre? In this film, a married man is granted the chance to to have an affair by his wife and his best pal comes along for the ride. Apparently things get complicated when their wives decide to have some fun too. 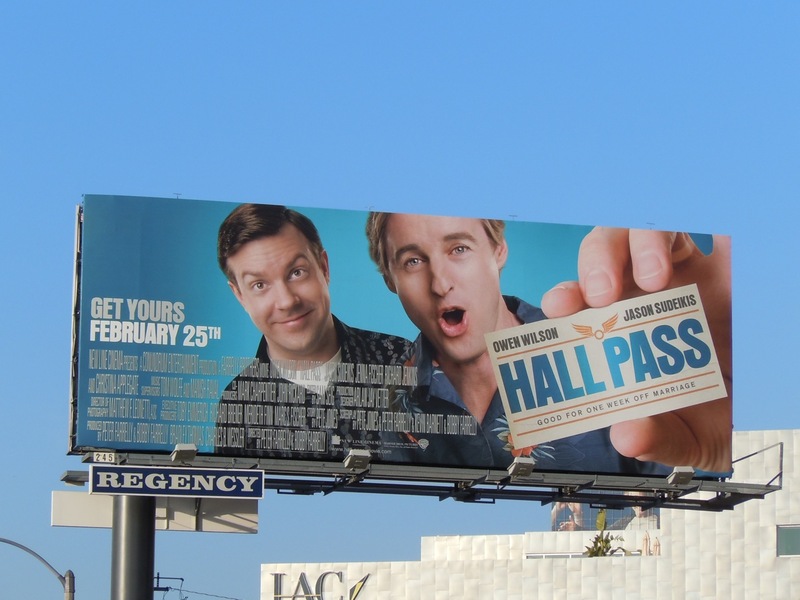 This movie billboard was photographed along L.A.'s Sunset Strip on January 10, 2011.